I know the anxiety stress of finding someone right and trusting for your child/children. I am That mother. I am from Virginia. I am Loving, caring, protective, clean person, child and house. I am going to college For Child psychology. I have a niece who I helped raise from an infant. . My mom also works for Special needs transporting them to school and home or field trips/activities. I grew up on the bus helping and experiencing the different needs and wants of each individual ranging in ages 3 and up. 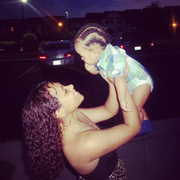 I also have my own child 3 years old and an amazing mother.I am His bestfriend. He has his own room full of toys. I babysit in my home Or depends on the needs you require.